We closed on our house in early December, but we didn’t move in till the end of January. Truthfully, we are still moving in, even though we have officially been living here for a month and a half. Before we bought the house, the sellers had replaced the carpet downstairs in the family room, but the carpeting on the stairs and throughout the upstairs bedrooms, was absolutely trashed. When I say trashed… I literally mean we needed to entirely replace the flooring upstairs before we could or would actually move our stuff in. For those of you who have gone through this process, you understand what I mean when I say that replacing flooring opens a rather large can of worms in the renovation department. 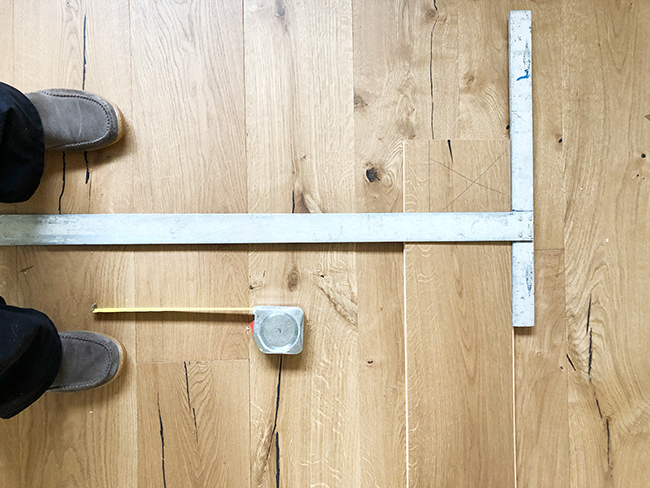 Before floors can be laid, baseboards need to come off, paint and drywall should be entirely finished – depending on the state of your home it can be a big job. Naturally, this all comes at the period in time when other folks would have been packing and readying to move. One million decisions to make, zero time, and intense back breaking labor for days on end, all while the kids have to be fed, watered and helped with schoolwork. This doesn’t even include the fact that we have one million family birthdays in December and January, along with the obvious winter holidays and this year – hip replacement surgery for my mom. It almost killed me. I’m still recovering. 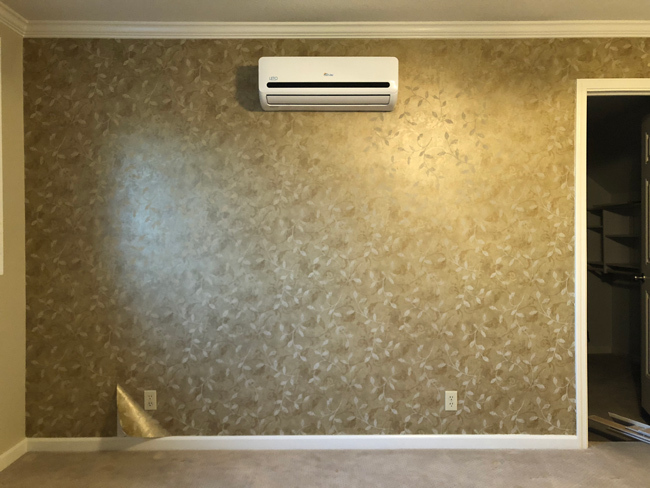 In the master bedroom, there was some relatively new wallpaper and a personal heating and air conditioning unit. I know these units work really well, but you guys, what an eyesore. If I am updating and remodeling my house anyhow, I am certainly going to focus on the HVAC (crucial in this climate), so I don’t have to live with one of these above my bed, forevermore. So… wallpaper removal, HVAC unit removal, carpet and baseboard removal, drywall repair and paint for this space. All of this needed to happen at light speed, so the flooring could be installed in here and we could move in. The other spaces didn’t need quite so much work, luckily, but it was still insane. Here is where that can of worms rears it’s ugly head… Since we would be removing the baseboards, it seemed like a reasonable time to replace the doors and door casings. The former owners had installed security latches and electronic keypads on two of the bedroom doors, essentially destroying the door and frame. So, another decision to make and more work to be done, prior to the floors going in and prior to having any real plan for this house, moving forward. I don’t recommend working within these parameters, this is how mistakes are made people. So I browsed, sampled and clicked my way through every store both online and locally, to find the perfect options at a reasonable price. 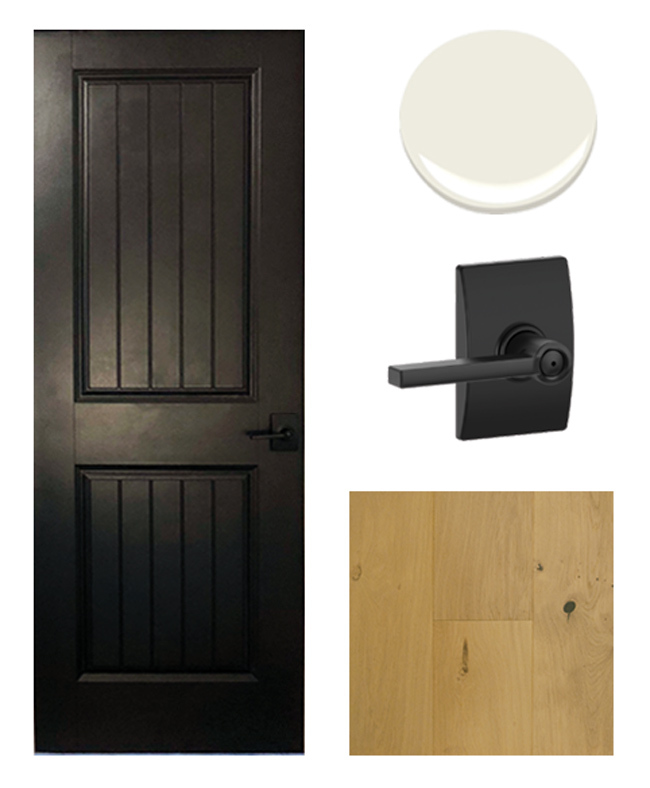 I found a huge selection of super stylish doors, in both hollow core and solid core, that were extremely affordable, at Lowe’s. They don’t seem to have the best of their door selection online, for some reason, but in their stores, the choices are many and the price is right! No joke. I chose ReliaBilt 2-panel Square Top Plank, but the 5-panel Shaker was a close second. I also chose to buy Solid Core doors rather than Hollow Core, since we are living in close quarters until we add on. It helps cut down on the sound quite a bit. They are a little bit like this door, but with a squared off top panel, as you can see below. I bought 7 doors in various sizes and with various handing for $1100. For solid core doors, that are super stylish, that is a fantastic price. Paint color was simple, my go-to is Behr Marquee, color matched to Kelly Moore Swiss Coffee. I typically use a Semi-Gloss for doors and trim, and an Eggshell or Satin for walls. Done and done. Hardware for the doors was a no-brainer since I already had a large portion of what I needed, from a campaign I worked on with Schlage. But flooring, oh my gawd. What a nightmare. Let me walk you down the rabbit hole of my thought process and what I ended up doing. At first I was thinking that something ‘lifeproof’ would be a wise idea. We have kids, dogs, a rabbit and an absolute ton of mess – all the time. I happen to be a huge proponent of vinyl flooring. Sounds absurd to some of you, I’m sure… but after having lived with a vinyl wood look flooring for many years, in the early days of this type of product, I have come to know and love the benefits of it. Until my kids are grown and out of the house… paying for expensive flooring and having it ruined a little at a time – just didn’t seem like a stress I wanted to take on. As for tile, no thank you. It’s cold, slippery and doesn’t work well for our life stage. Penn had a permanent bump on his head from about 12 months old till he turned three. But, it turns out there isn’t a wide range of luxury vinyl planks available in the colorway I was looking for. In fact, I never found a single one. Which is weird, but likely just a lag in the product development. In the next two years there will likely be a couple in the specie and color I was looking for. Also, it turns out that luxury vinyl planks are just as expensive as wood flooring. So if I am going to spend the money anyhow, it may as well be for the real thing and not for a somewhat temporary flooring solution. So vinyl was out and engineered or hardwood flooring was in. Once again I was floored at how few options there were in general, and there was not a single affordable option to be found. Anywhere. I think the least expensive option I found, in the style and color I wanted, was around $6 a square foot. Well, I don’t consider that to be affordable and definitely doesn’t leave room for the cost of labor and other materials. So basically, we would only be able to purchase flooring for upstairs, so that we could at least move in, and we would have to do it ourselves, because… crazy expensive. We found a few flooring options that we loved, and one in particular that Mike loved. Which is saying a lot because he essentially hates everything, all the time. 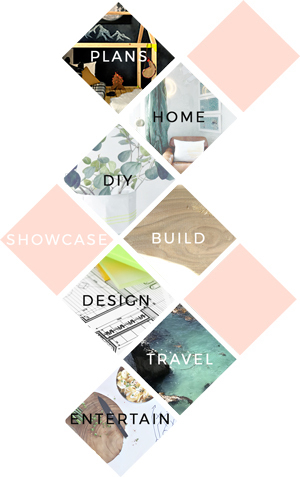 Honestly the flooring sitch probably deserves a post on it’s own, it was complicated, and cumbersome and there were a lot of factors that went into it – so stay tuned for all the goods on that. In the meantime, know that we did get the floors laid, we moved in and have been enjoying every single thing about living in our new / old fixer upper. Except of course the drywall dust (that stuff is the devil), living with no doors for longer than I care to think about and constant array of tools that must live close at hand, all the time. But otherwise, absolutely everything. Can understand how much hectic such kind of situation for you. Eagerly waiting for the updates to see the end result with your other experiences.